Worthwhile is a leading Django and Python web developer. Here's why we love it, and why you should too. Python is a favorite among many developers for its strong emphasis on readability and efficiency, especially when compared to other languages like Java, PHP, or C++. Sure, it’s old, but it’s 1980s old, not Cobol or Fortran old. Besides, if something works, why change it, especially when there are a so many ways to improve it. Actually, depending on how you view it, longevity is a good thing in itself—a sign of stability and reliability. If you’re like many people who first started out with Java, C, or Perl, the learning curve for Python is practically nonexistent. But the fact that it’s easy to learn is also the reason why some people don’t see Python as a necessary programming skill. Whether you’re starting a new company, or looking for a language to help you land a job, Python can and will push you to great heights. Why is Worthwhile committed to this language? What are its advantages? How has Worthwhile produced award-winning software using Python and Django? Try asking programmers what programming language was easiest to learn for them, and I bet the majority of responses will probably be Python. It’s true: Python looks like it was designed for newbies. It reads like kindergarten math and is so easy to understand that you could teach its basic concepts to someone who doesn’t know a lick of coding in one day. Python’s reliance on whitespace and common expressions trims out a lot of programming fat, allowing you to do more with fewer lines of code next to say, Java or C++. Development is not an easy task. Why not make the job easier by using a language that is as simple as it gets? Pro tip: If you’re at a point where you think you’re good with Python, dig deeper. Pick up as many libraries as you can, and perhaps learn Django to make yourself more marketable. 2. Python lets you build more functions with fewer lines of code. Python is a quick study for anyone. With practice, you could easily build a rudimentary game in two days tops (and that’s coming from knowing absolutely nothing about programming). Another factor that makes Python an attractive programming language for novices is its readability and efficiency. Perhaps the best example to demonstrate this is the “Hello world!” program. Below is an image that compares code between Java and Python. As you can see, Python looks way simpler. That simplicity is key. Simplicity is what lets you do more with Python quickly and with fewer lines of code. 3. Python provides a stepping stone to learning other code. Therefore, once you’ve mastered the concepts of Python, other languages grounded on similar principles should come naturally to you, allowing you to focus on their syntax, which is really what matters. 4. It’s hard to mess up with Python. The beauty of Python—besides its simplicity—lies in the highly established rules the language is built on. These tenets are known as “The Zen of Python,” written by Tim Peters and inspired by Van Rossum, Python’s Benevolent Dictator for Life. The Zen principles read like a spiritual poem, rather than a guide to programming. With guidelines like that, it’s hard to go wrong. 5. Python is perfect for building prototypes. The fact that Python lets you do more with less code also lets you build prototypes and ideas quickly. Ideation is an often-overlooked aspect of web development, and the ability to come up with functioning prototypes at a faster rate can help reduce time, save money, and satisfy clients. 6. Python and Django are huge in fintech. Better start reading about it, because you might be working in the industry soon. The fintech revolution has led to an explosion of new companies that combine Silicon Valley’s innovations with the money machinery of Wall Street. Basically, it’s a new sector that combines money with technology. But why should you care? You’re a programmer, not a banker or financial analyst. As it turns out, the fintech industry is one of the major contributors to the increase in demand for Python programmers. Python is the fastest growing language in fintech, which might explain why Python now beats C++, PHP, and iOS in a survey on the most popular languages of 2016. Python is paving the way for the future of fintech, which is basically the future of the business world. There are several robust Python implementations integrated with other programming languages. * RubyPython, or Python combined with Ruby. This allows you to run Python in different scenarios. 8. It has a ton of resources. As a Python developer, it’s practically impossible to get stuck in a rut with the huge number of resources that constantly keep getting refreshed. It also boasts an extensive library with built-in functionality, which explains why so many programs are written in Python. Python also has a built-in unittest framework to ensure your code works as intended. 9. There’s a robust stack of frameworks waiting for you. Python owes a great deal of its flexibility to the many programming environments and frameworks that make the development of specific applications quick and easy. For example, web developers can turn to frameworks like Django or Flask, which let you focus on writing the app or site rather than get bogged down by tedious legwork. What this means is that frameworks and environments allow Web developers to be more productive and efficient on Python than with other languages. This is a critical factor when you need to bring applications to final deployment right away. Django is the most popular web framework for Python. Flask and Pyramid are two other popular frameworks. Other Python web frameworks include Zope2, Grok, web2py, and TurboGears. 10. Django, a high-level Python web framework, is flat-out amazing. The ability to use Django is perhaps one of the biggest advantages of learning Python. The Django framework lets you model your domain and code classes, and just like that, you already have an ORM. Now you can focus your efforts on your user interface. Django’s ease of building templates, or using the already built-in template language, makes it easy to build applications that are ready for deployment. It’s no surprise why Django is the foundation of sites and services like The New York Times, The Guardian, Pinterest, and Instagram. As an open-source framework, Django is supported by an active community of users who continually contribute to updating the resources on DjangoProject.com. 11. Python is great if you’re on a budget. If you or your company wants to build a product, your choice of language may ultimately boil down to preference and expertise. But if you’re running on a budget and need a product rolled out right away, the choice of language then becomes more important. The bigger the project, the more important this choice becomes. Python is an ideal option for bootstrappers and startups because of its quick deployment and—as mentioned earlier—lesser amount of required code next to Java, C, and PHP among others. 12. Python is a hot commodity in the era of Internet of Things (IoT). The advent of the Internet of Things introduces countless opportunities for Python programmers. Platforms like Raspberry Pi, a series of credit card-sized computers running Python, allow developers to build their own exciting devices like cameras, radios, phones, and even games through Python with ease. With advanced Python programming concepts, developers can homebrew their own gadgets, and connect them with real world markets independently and on the cheap. 13. Python is a core technology in blue chip sites and services. Given Python’s affinity for scale, it shouldn’t be surprising why it’s the core language in many ‘blue chip’ sites and services. The list includes Dropbox, YouTube, Instagram, PayPal, eBay, Yelp, Reddit, Disqus, and games like EVE Online and Second Life among others. 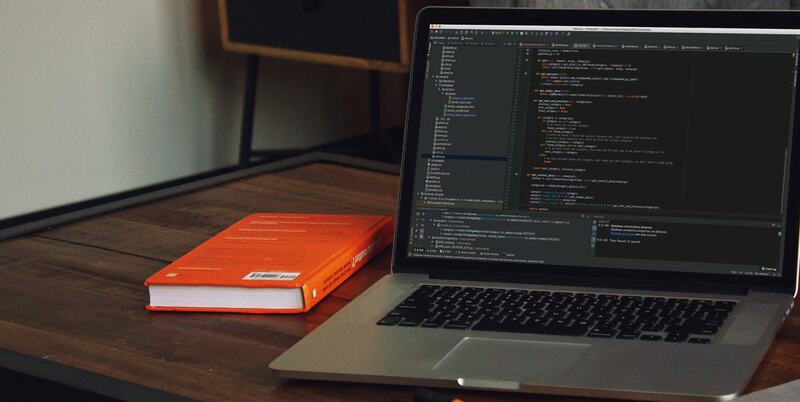 For web developers, this means that mastering Python and its popular advanced frameworks like Django should ensure you’re able to find work or even build your own product or service as a startup. 14. Tech giants love Python. Several IT giants, as well as the IT infrastructure of major organizations, rely heavily on Python. These groups include NASA, JP Morgan, Google, Yahoo!, Disney, Nokia, and Mozilla among many others. And as long as these companies and organizations exist, there will always be a demand for Python web developers. 15. There’s good money in it. If creating cool, never-before-heard gadgets with Python and Raspberry Pi isn’t awesome enough of an incentive, then how does cold, hard cash sound? 16. Python is perfect for getting involved in higher education. If you’ve always wanted to moonlight as a teacher, being proficient with Python should give you a spot at the cool teachers’ table. I know I’ve already said Python is popular, but as of 2014, it’s also the most popular computing language taught to university students. Given Python’s continued popularity today, it’s safe to say that distinction won’t change much in the next few years. In an excellent write-up for Radar, Nicholas Tollervey delves deeper into the reasons behind Python’s popularity in education, touching on readability and succinctness among other factors. 17. Python makes sysadmin duties a breeze. By now, you already know Python can be used to develop practically any kind of software or web application. But one task that really brings out the best in Python is writing software for managing sysadmin tasks. Extensions like Salt and Ansible carry dedicated system administration features to Python, complementing its scripting principles to create sysadmin tasks that control features and utilities within operating systems. It’s also for this reason that Python shines as an instructional language, as it allows students to create system utilities and learn the basic principles of system administration, all while learning the language. Python’s community of programmers is one of the best in the world. As an open-source platform built by thousands of contributors from all corners of the world, Python is a crowdsourcing success story. As mentioned earlier, it’s robust, scalable, well designed, and easy to learn, a product of several years of the best minds coming together to build a language with clearly-defined features. The fact that it has an open-source license also means Python can be implemented and modified in any way you please. It’s possible to insert blocks of other code to make the language even more feature-rich, all at no cost. You can also tap libraries to create applications for data analysis, language processing, and machine learning among many others. Support is also free, so if you have any questions, getting answers is as easy as going to Python.org and asking or using the tutorials. 19. Django supports best practices for SEO. SEOs and web developers aren’t always known to play nice together. The task of a developer and optimization of an SEO sometimes seem to be at cross purposes. Thankfully, when said developers are using Django, this is less of an issue. For one, Python’s Django framework supports the use of human-readable website URLs, which isn’t only helpful from the actual user’s perspective, but also to search engines, which use the keywords in the URL when ranking sites. Your SEO team will thank you for using Django. Besides, it just makes more sense to ensure URLs mean something instead of being just a series of random numbers and letters. When it comes to Django SEO, this easy tutorial will get you started on the right path. By default, Django prevents a number of common security mistakes better than say, PHP does. For starters, Django ‘hides’ your site’s source code (except CSS and html files) from direct viewing on the Internet by dynamically generating webpages and sending information to web browsers through templates. If you’re still having second thoughts about using Python for web development, you can go ahead and stop. Python is a must-have in any programmer’s repertoire. It’s clean, consistent, and features principles that not only make it a pleasure to learn and use, but also makes transitioning to other languages much faster. If there’s ever a time that you feel like you’ve hit a brick wall and don’t understand something, Python’s huge library and active community of users are always ready to help. I almost didn’t mention one of its best advantages — it’s named after Monty Python. With a moniker like that, you know it’s a fun language.